Dell has unveiled a couple of new laptops and tablets as it fight to remain relevant in the PC market. Its 13-inch ultrabook, the Dell XPS 13 was been refreshed and the 15.6-inch ultrabook Dell XPS 15 features faster processors and more brilliant screens. 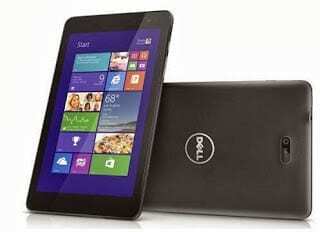 Dell has also added a couple of new Android tablets and Windows tablets, laptops, and hybrids to its product line. No doubt the Dell XPS 15 ultrabook with its sleek 18 mm thickness is the star of the new line. The new Dell XPS 15 still comes with a 15.6-inch display, but is packed with more pixels with a quad-HD+ touch display offering 3200 x 1800 pixels resolution. A model with 1920 x 1080 pixels will also be available. Dell XPS 15 will offer either fourth generation Intel Core i5 or Core i7 processor with 8GB or 16GB of DDR3 RAM and runs Windows 8.1. Dell XPS 13 is the world’s slimmest ultrabook with a thickness of around 17.8 mm. The Dell Laptop features a 13-inch touch screen with a resolution of 1920 x 1080 pixels and is powered by Intel’s Haswell processor with 128GB or 256GB storage. XPS 13 comes with Windows 8.1. Dell XPS 12 is a ‘2-in-1’ that combines a tablet and a laptop. The 12-inch screen can be swiveled and folded to form a tablet. Runs Windows 8.1. Dell XPS 11 is an 11.6-inch ‘2-in-1’ with an outstanding resolution of 2,560 x 1,440 pixels. The Touchscreen folds back 270 degrees Yoga style to form a tablet. Dell XPS 11 runs Windows 8.1 on fourth generation Intel Core i3 or Core i5 processors with 4GB RAM. Dell Venue 7 is a 7-inch tablet running Android 4.2.2, but according to reports can be updated to Android 4.4 (KitKat). 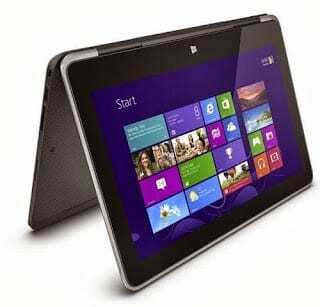 It features an Intel Atom 2.0GHz (Clover Trail) processor. The 7-inch touch screen offers 1280 x 800 pixels resolution. Venue 7 comes with 16GB storage. Dell Venue 8 is similar to the Venue 7, but with an 8-inch touchscreen. 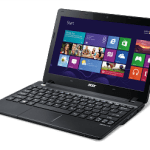 It also features an Intel Atom 2.0GHz (Clover Trail) processor and runs Android 4.2.2 and is available in 16GB or 32GB storage. Dell Venue 8 Pro is an 8-inch Windows 8.1 tablet. The IPS screen offers 1280 x 800 pixels resolution. Dell Venue 8 is powered by super-fast Intel Atom (Bay Trail) processor (quad-core) with 2GB RAM and offers built-in storage of 32GB or 64GB. Dell Venue 11 Pro is a 10.8-inch Windows 8.1 tablet with an optional keyboard accessory that snaps-in to form a laptop. The screen offers full HD resolution (1920 x 1080 pixels) with a mini-HDMI port for connecting to external display. Dell Venue 11 Pro offers Intel Core i3 or Core i5 with 4GB or 8GB RAM.